Thought this had been started already but I can't find it. Any ideas why Speed isn't showing on wired SRM? With strong magnet, close to sensor - nothing. Presume it's a broken wire? Where's the best place to buy SRM PCV wiring harnesses? Scientific don't seem to list any. So far: Powertap > SRM in the installation and operation stakes.. I got mine from Scientific coaching via eBay, £30 or thereabouts. I had an issue with that when I first installed mine, turned out that the (rear) speed cable must have gone into the wheel at some point in the PO's time. I unwrapped the electrical tape, twisted it together a bit more and it worked again. Bought a new wiring harness after that. Anyway, once it works, it tends to keep working. It better keep working. So far it's been crap. Overly senstive to location of the pickups (literally 1mm difference towards the BB axle and it started working) and no speed pickup means the head unit turns off automatically so essentially pointless. Thanks for the link. Similar to Powertap pricing and the reason I moved to wireless after the 3rd wiring harness failed. Yeah, wireless is much better, but the units are a bit more expensive. 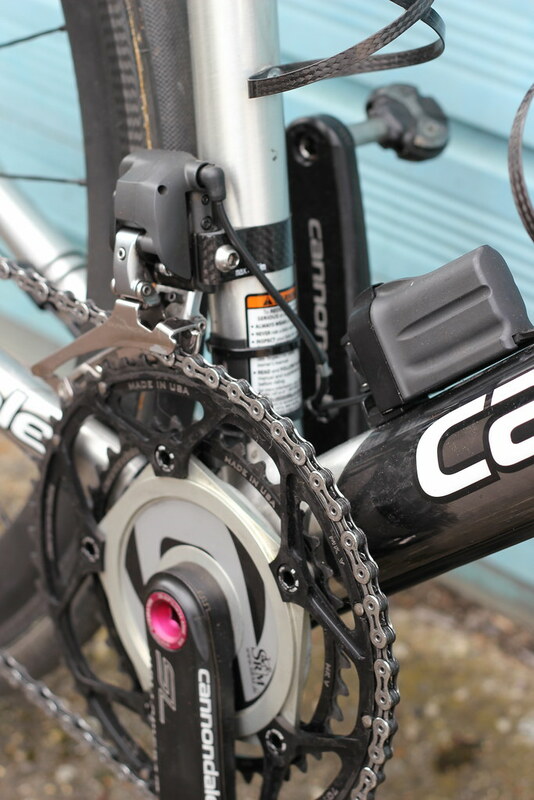 I tend to use a Garmin and a PC-7, which both take the output from the SRM, bit of redundancy and I upload the PC-7 to Training Peaks and the Garmin to Strava. They're way more expensive (I've got two wired SRM crankets and a PCV for <£700 vs. £1200+ for one wireless without headunit) and I just want to test the SRM to see if it's worth using one so I was trying to keep costs down. Chatting to one of the guy's Scherrit put up for the Track Masters he reckons the wired ones are more accurate (no dropouts, better for sprinters looking for peaks, not me so much obv.) and understandably don't need sending off for battery replacement so often. If I can get mine to work I might DIY the battery swapping. Can't believe they make you send 'em off every couple of years. Gits. Once I had my wired one setup it was zero hassle, worked perfectly every time. The PC-7 is a useful advance on the 5&6 though- storage time alone is a huge difference. However, for rides of less than 8 hours it makes no odds. I'm interested to see how long mine lasts- it's seeing 20 miles per day commuting, then training on top of that. Right, I have an SRM that is currently on my CX bike, but that will go back onto my road bike when the weather improves next year. It's BB30, on Hollowgram cranks. I've therefore got a requirement for a BSA powermeter for the other two bikes. I'm looking at the Power2Max again as it's hard to argue with the price - just as long as it's accurate. I was thinking of getting the 3D+ version, which I know is BB30 but Rotor say that it can be used with a BSA frame with the correct adapter cups- I am guessing that this would have to use a longer axle though, would this give me a Q-factor that would have me impersonating John Wayne? Anyone got a P2M with the temperature correction change? I've got the wiring harnesses to work. Fiddly little fuckers. Unlike a boring old speedo they're sensitive to movement in every direction. The power pickup is too close to the crank though and is rubbing on the plastic crank back so needs further work. At least I don't need to shell out another £65. I put my old power pickup on the seattube, nicely out of the way of the crank there- is yours under the BB shell? Good news on the harness. It's on the downtube but needs to be very close to work properly. A bit of vibration on the ride home last night and it's touching. I need to adjust it more to see how far I can move it away from the crank before it fails. Or I could use the under-BB mount instead. The downtube would have been impossible- way to large. On the seat-tube it's easy to adjust so that it is in the right place, mine never went out of alignment. 75 miles/5 hours- is a TSS of 350 reasonable? I have the 7800 wired Dura-Ace which is over 4 years old and still runs perfectly with the original battery instaled in the factory. Never missed a beat although I plan to get it serviced soon, actually I have been saying that for a couple of years now. A friend of mine was less than impressed with the wireless version after coming from a wired unit, to me at least the reliability and less iffy set up of the wired trumps the looks of the wireless and my bike is no beauty queen anyway. Be interesting for sure, wonder if they'll nail it first time? on Garmin). Garmin their pedals also look quite interesting. Possibly due to being over cautious I'd avoid anything on it's first outing. First gen Quarqs have the wet weather drift, first gen P2M had the temp issue. I'd probably choose P2M now, although I would like to see some reviews of the new units first. I think Quarqs are now too expensive - may as well get an SRM. That's quite high. Mine is right on the weld at the BB. I'd experiment with moving it about but I'm lazy and I'd rather destroy it and buy a G3 instead. 75 miles/5 hours- is a TSS of 350 reasonable? Seems high to me. 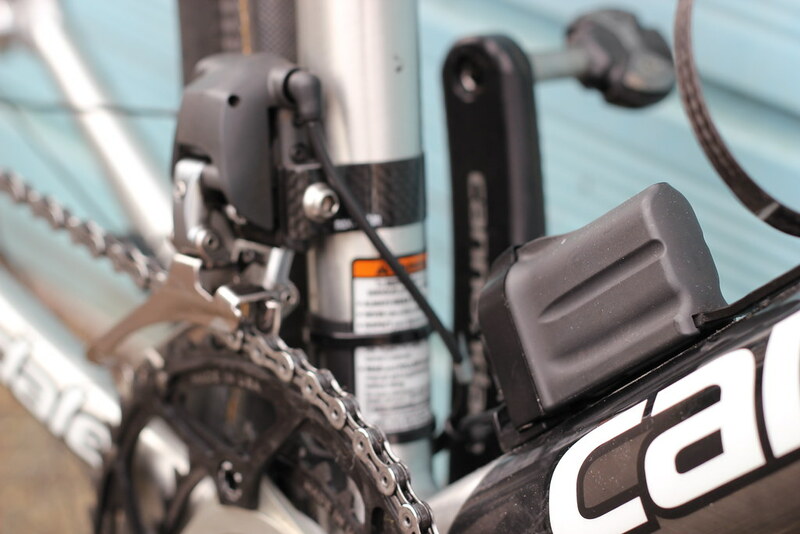 "the unit has two CR2477 batteries, which are end-user changeable"